The bright yellow flag of Reconciliation Saskatoon is being raised outside buildings across the city. From left, Brad Bird of the Aboriginal Friendship Centres of Saskatchewan, Gilles Dorval representing the City of Saskatoon and Rhett Sangster of the Office of the Treaty Commissioner presented the Reconciliation flag at the Rock Your Roots, Walk for Reconciliation this summer. It shows that more and more organizations are committing to the process of reconciliation in their workplaces and within their communities. Reconciliation Saskatoon is a group of community organizations looking to build public awareness, education and engagement on reconciliation, said Rhett Sangster, director reconciliation and community partnerships for the Office of the Treaty Commissioner (OTC). “We’re trying very much to be a diverse group, representative of all the voices in the community to talk about how we move forward and also to build relationships, to be reconciliation in action,” he said. It grew out of the City of Saskatoon calling 2015 the Year of Reconciliation after the release of the Truth and Reconciliation Commissions’ (TRC) Calls to Action. The Reconciliation Saskatoon mandate is to create opportunities for education about history and encourage response to the Calls to Action, said Gilles Dorval, Director of Aboriginal Relations for the city. By pulling in organizations from across the city they can work collaboratively and pool funding, “so we can do more with less,” said Dorval. 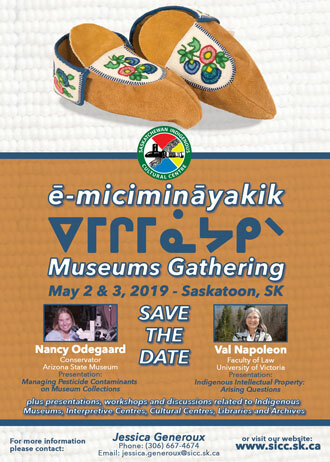 There are about 35 groups involved now, including tribal councils, the Indian Métis Friendship Centre, Central Urban Métis Federation Incorporated, Saskatoon Public Library, the OTC, health regions, the City, newcomer organizations, churches and others. “So, it’s working with all people in the community regardless of their faith, ethnicity, and creating an understanding of the Indigenous People before and how we can work together to ensure that nobody gets left behind,” Dorval said. Reconciliation Saskatoon started with a handful of organizations that would meet over lunch, but continues to grow, said Sangster. The flag raisings outside buildings, including the most recent one outside the Greater Saskatoon Catholic Schools head office and one outside St. Paul’s Hospital, are just a small part of the activities Reconciliation Saskatoon are helping to organize. Since the launch of Reconciliation Saskatoon, they have organized speaking series, Aboriginal Awareness Training to businesses, blanket exercises, conversations with survivors and the massive Rock Your Roots, Walk for Reconciliation that happened in the summer. Recently the Saskatoon Public Library announced the name of the new branch to be opened in Stonebridge as Prairie Round. This was done in consultation with an elders’ advisory panel organized in partnerships with Reconciliation Saskatoon. “The relationships that we’ve built have made each of these initiatives stronger and more representative of our community,” Sangster said. The library also just opened a reconciliation reading room in their main branch, because education is the first step in committing to reconciliation, said Carol Cooley, director of libraries and CEO. “Because of course reconciliation is not just an organizational responsibility, but a responsibility of each and every individual,” she said. The passing of the library budget last week was another step in ensuring equitable service, Cooley said. “We will be able to increase our hours of service in our core communities,” she said. Cooley said Reconciliation Saskatoon is important now because there was public recognition that something needed to happen after the Calls to Action. “I think it helps keep the momentum going,” she said. The model started as a pilot in Saskatoon, said Sangster, but the mandate of the OTC is provincial. He said there have been discussions in Regina about what Reconciliation Regina could look like and on Dec. 2, Sangster and Dorval met with interested stakeholders in Lloydminster. “This is a movement that we’re looking to spread organically and allow people to take it on and be creative and build new relationships,” Sangster said. The timing is right, because the TRC report woke people up a little bit, he added. That’s where Reconciliation Saskatoon can play a role. They offer advice, can facilitate discussion and create a safe space to build trust and shared relationships, Dorval said. “Find the we, instead of the us and them,” Sangster said.